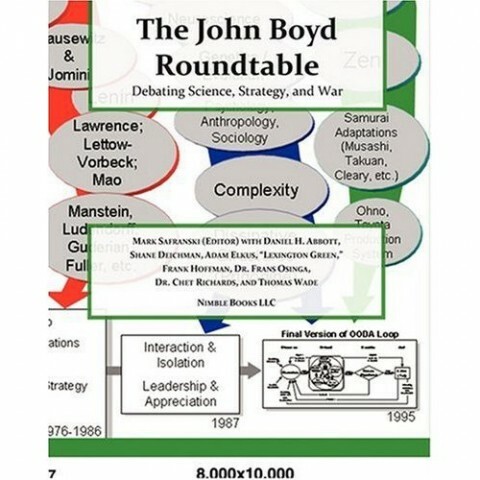 A new book is out about John Boyd: The John Boyd Roundtable: Debating Science, Strategy and War. I wrote that first chapter of the book, so obviously I am pushing it. The book is itself a collection of responses to Col. Dr. Frans Osinga’s book on Boyd, Science, Strategy, and War, which itself follows two book-length biographies: Boyd and The Mind of War. There is a yearly conference on John Boyd: Boyd ’07 was at the Marine Corps University in Quantico, Virginia, while Boyd ’08 will be on Prince Edward Island. If you are a Boyd “disciple” please leave a comment, and tell me how you think Boyd applies to the strategic discussion on this blog. I’ll be unconvinced by your comment until I do my homework, but nonetheless I was talking to a very smart guy in the Pentagon last month, and we were discussing naval strategy for small wars and small ships. During the conversation I got unnerved when he brought up John Boyd in his arguments. He didn’t introduce anything I had not previously heard about Boyd, but when talking strategy I intend to always be the guy well rooted in history and study. What continues to puzzle me is the almost Jesus-like devotion to the man by certain groups and organizations, like DNI and others. Reading some of the fanboi material I am wondering what he has done besides develop the OODA loop that makes him worthy of such reverence. Boyd’s contributions come in two main forms: The Energy-Maneuverability Theorem (EMT) which is a technical model beyond the scope of this blog, and the OODA dual-processing model of human behavior. EMT is useful, but beyond thsoe who buy, use, and shoot at jet fighters has limited relevance. OODA is true, but perhaps not useful. John Boyd’s OODA model beat mainstream psychologists to the punch by one or two years. Boyd’s problem is that (a) he did not present his work in a way that allowed it to be integrated into the social science mainstream, (b) did not provide a method for crticisism or overturning his conclusions, and (c) “reinvented the wheel” by using new terminology to describe old views of war. Zenpundit has more. As does HG’s World and Selil. First impressions of the new book, The John Boyd Roundtable: Debating Science, Strategy, and War are popping up all over the blogosphere. On the second day of its general availability, both Mike Tanji add their thoughts. My chapter in the Roundtable, the History of the OODA loop, was based on an earlier post on my blog. While Iâ€™ll always be a fan of the OODA loop, a great conceptual model of human cognition, it does not help me in predicting outcomes. Thatâ€™s why I generalized Horn et al to create a domain-knowledge/general-ability/motivation/behavior model of performance. The OODA loop is certainly a “true” model of two-system processing, where a good Orientation can allow you by bypass conscious Decision making. However, it does not have a good way of telling reasonable applications from just-so stories. Boyd’s OODA loop was a product of the Cognitive Revolution, that burst through psychology discovering internal mental processes that mediated behavior. However, the OODA loop may become a victim of the Quantitative Revolution, that is currently overthrowing much of the academy and the public schools, and is needed for any form of quality control. As OODA is described as a reaction to the Zero-Defect mentality, an early attempt to bring the Quantitative Revolution to military affaris, this would be an ironic fate. The news is on HG’s world, Wizards of Oz, zenpundit’s blog, and it’s great: Nimble Books has now released The John Boyd Roundtable:Debating Science, Strategy, and War. Nimble previously published Revolutionary Strategies in Early Christianity, which was based on my series Jesusism-Paulism: The Revolution of Early Christianity. The John Boyd Roundtable would not have been possible without Mark Safranski as the editor, or Chet Richard’s organization of last year’s conference on John Boyd in Quantico, Virginia. Likewise, the new book is in debt to Frans Osinga, who not only wrote a chapter of this next but also previously published a book-length text, Science, Strategy, and War: The Strategic Theory of John Boyd. And of course, W.F. “Fred” Zimmerman of Nimble Books. I am also proud that my chapter, “A History of the OODA Loop,” made the cut, and begins on Page 1. Last years Boyd Conference at the Marine Corps University in Quantico, Virginia was a hit. This year the location pivots, from that famous Marine Corp base, to deep in the heart of the unliberated zone. The topic is 5th Generation War and Super-Empowered Individuals, the location is Prince Edwards Island, and the network is to kill (or at least, disorient) for. The dates are September 20 and 21, 2008. More details are available from Robert Patterson, who (along with the one-and-only Chet Richards) is doing the hard work of hosting it. 5GW is substantively different from all previous forms of Modern War. Yet it is a natural evolution of warfare and the basic Art of War remains the same. And specifically, the lessons of Colonel Boyd’s Patterns of Conflict hold even in 5GW, where only one side knows it is fighting. Idea of fast transients suggests that, in order to win, we should operate at a faster tempo or rhythm than our adversariesâ€”or, better yet, get inside adversaryâ€™s observation-orientation-decision-action time cycle or loop. Commentary: Or best yet, arrange the enemy’s OODA loop, so his thoughts never flow into the orient-decide-act power-line relative to you, your plan, or your organization. Diminish adversaryâ€™s capacity for independent action, or deny him the opportunity to survive on his own terms, or make it impossible for him to survive at all. Fire and movement are used in combination, like cheng/ch’i or Nebenpunkte/Schwerpunkt, to tie-up, divert, or drain-away adversary attention and strength in order to expose as well as menace and exploit vulnerabilities or weaknesses elsewhere. Commentary: In a successful 5GW, the enemy’s attention won’t so much needed to be “diverted” away from a focus but “misdirected” from ever attaining that focus. Commentary: In a successful 5GW, the events the enemy “must” react to are an “unknown unknown.” The enemy doesn’t know what they are, and doesn’t even know that he needs to know what they are. “Patterns of Conflict,” by John Boyd, edited by Chuck Spinney and Chet Edwards, Defense in the National Interest, Boyd’s last edition, December 1986, PowerPoint edition, 27 February 2005, http://www.tdaxp.com/archive/2005/05/23/john_r_boyd_s_patterns_of_conflict_brief.html. “Unto the Fifth Generation of War,” by Mark Safranski, ZenPundit, 17 July 2005, http://zenpundit.blogspot.com/2005/07/unto-fifth-generation-of-war.html. Whether you view reality as land, or as a sea, or even a mystical body, one thing is clear: you exist with it. More specifically, you can effect the world and the world can effect you. Action flows from you to the world, and information flows from the world to you. Whether you kick a rock, pet a dog, or eat a snack, the your flow of action and the world’s flow of information make life what it is. This is true no matter what you are. If you are a fighter, process remains the same. The fighter acts on the world, and the world blowbacks to the fighter. Blowback is the residue — the only thing that remains — of the fighter’s action after the action. A happy and lucky fighter gets easy and pleasant blowback. Fighters to choose poorly have less pleasant experiences. The above three charts show the individual and the world as entities, and the lines are their relations. The graphics are called Entity-Relation, or E-R diagrams, and are commonly used to understand databases. But what is this fighting? What sub-processes make up this process called “fighting”? Or for that matter, what sub-processes make up the process we called “being human”? We observe reality. We take that observation and make sense of it. We oriented new things we see against what we already think we know. After we oriented new facts, we may go back into observing. This may happen if we are confused, or we just want to “wait and see.” Alternatively, we might decide what to do. When we make decisions, two things happen. 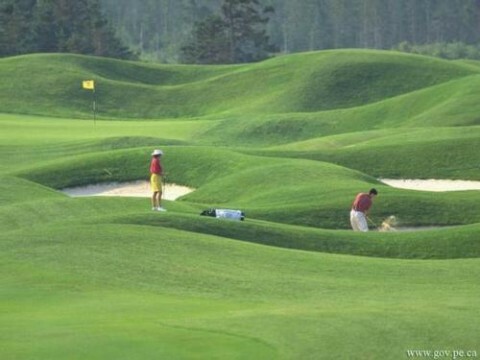 Obviously, the first thing is that we observe that we made a decision. We might then orient that with thinking that our decisions have often been bad, and paralyze ourselves with doubt. The other thing that happens when we make a decision is we go on and act. Action effects the world, like when we chase a cat or rob a bank. Actions are implicitly guided by our orientation too. For example, you go through the entire OODA loop to decide to walk to the store, but many individual actions (how to move your legs to walk) are guided by your orientation without any decision to do so. The Observe-Orient-Decide-Act (OODA) loop of John Boyd is not only a model of human cognition. Both of these findings can be synthesized by viewing the generations of modern war within the framework of social cognition. Consider that the second generation of modern war (2GW), based on concentrate of firepower, is the strong-suit of the state in war. Likewise, consider that the fourth generation of modern war (4GW), based on idealogical coherency, is the strong-suit of the insurgent in war. From this we can place the third generation of modern war (3GW), based on mobility, in between the state’s and the insurgent’s spheres of influence. Likewise, place the fifth generation of modern warfare (5GW) to the right of 4GW. 5GW is the domain of non-states… almost. When a 5GW is used by a state, it’s actually the province of a “state within” that acts as an internal insurgency. The Military-Industrial-Complex devised by President Truman is the work of such a 5GW conspiracy-within-the-state. each ‘higher’ generation of war is less kinetically intense than the one before it. Further, states tend to be victorious in areas where intensity is high but not overwhelming — between 2GW and 3GW. At the same time, non-states tend to be victorious at low but not underwhelming kinetic intensity — between 3GW and 5GW. Finally, 1GW and 5GW fall outside the realms of both the state and the non-state, and into the lands of the proto-state and the state-within. In other words, suggests a fighter that can pick and choose engagement opportunitiesâ€”yet has fast transient (â€œbuttonhookâ€) characteristics that can be used to either force an overshoot by an attacker or stay inside a hard turning defender. Yet while mere fast cycling is important. or, better yet, get inside adversaryâ€™s observation-orientation-decision-action time cycle or loop. Why? Such activity will make us appear ambiguous (unpredictable) thereby generate confusion and disorder among our adversariesâ€”since our adversaries will be unable to generate mental images or pictures that agree with the menacing as well as faster transient rhythm or patterns they are competing against. Rather, this is optimizing for formlessness. All merely going faster would be do is decrease the cycle-time of the waveform. It would definitely be menacing to face an enemy going fast. But not confusing, ambiguous, or unpredictable. Fast transients rely on appropriate use of Decision and Subversion to get inside the enemy’s cognition loop and make your waveform disappear. By exploiting superior leadership, intelligence, communications, and mobility as well as by playing upon adversaryâ€™s fears and doubts via propaganda and terror, Mongols operated inside adversary observation-orientation-decision-action loops. In a similar way, by exploiting decision and subversion, the winner operates into the enemy’s cognition loop. One reaction is to create what Boyd called “many non-cooperative centers of gravity” in the enemy, making his waveform disappear too. But while the winner’s waveform is merely apparently chaotic, the enemy’s waveform is chaotic. Of course, not all transients are fast. Until they are. Our OODA loop helps us know where warfare is headed. Modern warfare is usually divided into the four generations of 1st Generation Warfare (1GW), 2nd Generation Warfare (2GW), 3rd Generation Warfare (3GW), and 4th Generation Warfare (4GW). A strong possibility exists that given successive generations of warfare tend to drive ” deeper” into enemy territory, that 5GW will mean systemic liquidation of enemy networks and their sympathizers, essentially a total war on a society or subsection of a society. There is no where ” deeper” for 5GW to go but here. At the high tech end 5GW would be precisely targeted to winnow out ” the bad guys” in a souped-up version of Operation Phoenix but at the low-tech end we could see campaigns that would be indiscriminate, democidally-oriented death squad campaigns that shred 4GW networks by the same actuarially merciless logic that led the Allies to firebomb German and Japanese cities in WWII. War is going deeper, but by that I do not mean “farther into enemy territory.” Certainly you can’t get any deeper than obliteration of Dresden or Hiroshima! For that matter, centuries ago Catholic terrorists tried to destroy the British Parliament, which was the deepest heart of the British government! 1GWs, like the Napoleon Wars, were extremely fluid. Armies could march whenever men’s feet could carry them. Information was relatively symmetrical — precise locations of either army were unavailable to any commander, while general knowledge of the land was known to all commanders. (Napoleonic “disinformation” was trivial compared to what was later devised.) Another feature of the Napoleon Wars was the army’s need to live off the land. 1GW was defined by conflict centered around an enemy’s ability to decide and act. 2GWs, like the First World War, were sticky. Armies took marched, drove, or took trains to the front line — where they stopped. In 2nd Generation War, action is easy: charge. You know exactly where you are, exactly where the enemy is, and exactly where you are going to die (in the razorwire and minefield, hit by enemy crossfire). Thanks to telegraphs and modern communications, commanders are flooded with a tsunami of almost meaningless facts. Thinking now centers around where and when it makes sense to try to break through, as well as the how to move to advance evenly. This means that the heart of conflict “moves deeper” into the OODA loop. Another way to think of it is like a rainbow or spectrum, where the heart of conflict is “redshifting” away from acting. 2GW was defined by conflict centered around an enemy’s ability to orient and decide. Offensives conducted on wide frontagesâ€”emphasizing few, rather than many, harmonious yet independent thrusts. Evenness of advance maintained to protect flanks and provide artillery support as advance makes headway. 3GWs, like the trenches for most of the Second World War or the Lawrence of Arabia campaign in the First World War, were fluid again. But conflict kept burrowing deeper into the OODA loop and redshifting further away from action. Victory in 3rd Generation Wars required the ability to instill madness — to mess with the enemy’s minds. The purpose of 3rd Generation Warfare is to paralyze the enemy with doubt. We move even deeper into the OODA loop, to the red end of the rainbow. 3GW is defined by conflict centered around an enemy’s ability to orient. Taken together, the captured attention, the obscured view, and the indistinct character of moving dispersed/irregular swarms deny adversary the opportunity to pictures what is taking place. Gain support of population. Must â€œarrange the mindsâ€ of friend, foe and neutral alike. Must â€œget inside their mindsâ€. If older generations of war were like fluids, 4GW was like a gas. It spreads everywhere yet regular armies have a hard time even finding battles. Like 3rd Generation Wars, 4th Generation Wars focus on the picture inside the enemy’s head. But while 3GW tries to destroy the picture, 4GW builds a new one. This picture is built in that part of the OODA loop where people “wait and see,” the double-headed arrow between Observe and Orient. While 3GW tries to paralyze the enemy with doubt, 4GW tries to deny him even that much — 4GW drains the will of the enemy so he “waits and sees,” robbing him of his ability to want to do anything. In practice, this means 4GW tries to destroy an enemy’s civil society, turning his population into mindless cowards. To achieve this, 4GW is defined by conflict centered around Observe and Orient. Impressions, or atmosphere, generated by events that appear ambiguous, erratic, contradictory, unfamiliar, chaotic, etc. Surface, fear, anxiety, and alienation in order to generate many non-cooperative centers of gravity, as well as subvert those that adversary depends upon, thereby magnify internal friction. So if these patterns hold, what will 5GW look like? The 4th Generation of War redshifts deeper into the OODA loop. It slides into the “Observation” realm. If traditional war centered on an enemy’s physical strength, and 4GW on his moral strength, the 5th Generation of War would focus on his intellectual strength. A 5th Generation War might be fought with one side not knowing who it is fighting. Or even, a brilliantly executed 5GW might involve one side being completely ignorant that there ever was a war. It’s like the old question of what was the perfect robbery: we will never know, because in a perfect robbery the bank would not know that it was robbed. In his post, Mark Safranski noted that 4GW was around for decades its nature was recognized. William Lind, one of the fathers of 4GW theory has welcomed yet cautioned against attempts to ascertain with too much precision any outlines of a 5th Generation Warfare that might be evolving within the dynamic of 4GW conflicts we see in Iraq, Afghanistan and in transnational terrorism. Yet according to theorists and practitioners of 4GW like Colonel Hammes, that form of warfare, although just now coming in to its own has already been present for some seventy years ! Undoubtedly then 5GW is also here with us, waiting for the next Mao or Rommel to fit the disparate puzzle pieces into a coherent pattern. This means that, in their pragmatic attempts to solve problems, both al Qaeda and the United States might be using aspects of 5GW right now. Where will historians of the future look to see aspects of a secret war? Of a war centered on ignorance? A week later came the answer. Policy Terrorism was not the overriding national security concern for the U. S. government under either the Clinton or the pre-9/ 11 Bush administration.